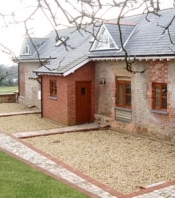 Cofton Country Holidays offers the following facilities. It is easy to reach Cofton Country by car. Leave the M5 motorway at junction 30. Take the A379 signposted Dawlish and after about 30 minutes, having passed through Kenton, Starcross and the small harbour village of Cockwood, the Park is half a mile on the left. South Devon is rich in interesting places to visit and fun things to do. We provide leaflets, guides, maps and advice on Devon's most popular visitor attractions. Here's a few ideas to get you started: - Dawlish Warren's two mile Blue Flag beach - Fishing trips, sailing, surfing and canoeing are easily arranged - Cliff-top walks and sheltered cycle rides are safe and undemanding - Visit the bustling cathedral city of Exeter andvibrant town of Exmouth - Keep an eye out in Dawlish for the famousblack swans� - Nearby Powderham Castle is home to the Earl of Devon - Disappear into the rugged landscape and ancient history of Dartmoor. The holiday homes are situated in a terraced area designed around existing trees and bushes, giving a spacious and informal layout. 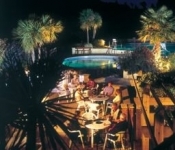 Most look out to pleasing views and are handy for the holiday park's central complex. We are proud of the high standards that we maintain. All holiday homes are modern and clean, with comfortably furnished living spaces and fully equipped kitchens. We have holiday homes to suit a range of budgets and they vary in size from 2-8 berth.We also have cottages and apartments to hire (2 or 3 bedrooms). The cottages are all sympathetic and modern refurbishments of dwellings and barns that are over one hundred years old. We have four available on the park of if you prefer to be away from it all we also have cottages located on Eastdon Estate. The luxuary apartments are also located here, they are located in Eastdon House which is a converted Georgian House in a prime location near the Exe Estuary. 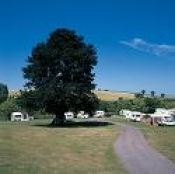 Have you been to Cofton Country Holidays? Please submit your review so that others can benefit from your experience. Important note: Information provided here about Cofton Country Holidays is based on our best knowledge. However, please check with Cofton Country Holidays before booking to ensure that you have the information required. 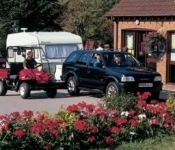 Reviews are the sole views of the contributor and do not necessarily represent the views of CampsitesandCaravanParks.com or Cofton Country Holidays.